A US Navy sailor and a Japanese woman were found dead - both stabbed - on Saturday in a bloody apartment bedroom on the Japanese island of Okinawa, police there said. The sailor, who remains unidentified, was attached to the III Marine Division, per Stars and Stripes. The body of the 31-year-old was discovered on Saturday next to that of a woman in her 40s. 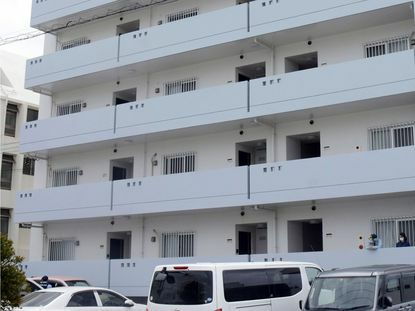 The police received an emergency call at around 7:25 a.m. after the two had initially been found bleeding at the apartment in the town of Chatan, and confirmed their deaths later at the scene. People there have long complained about crime, noise and the destruction of the environment as a effect of the military presence. Although Okinawa makes up less than 1 percent of Japan's land space, it hosts about half of the 54,000 American troops stationed in Japan, and is home to 64 percent of the land used by the US bases in the country under a bilateral security treaty.